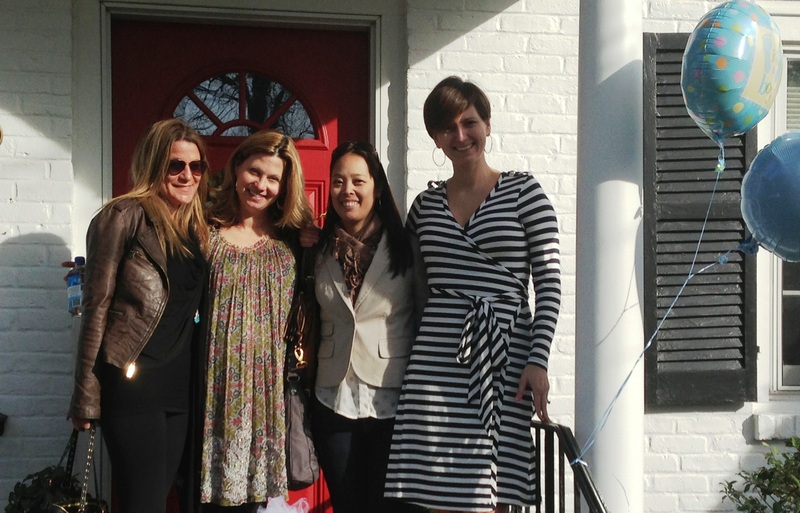 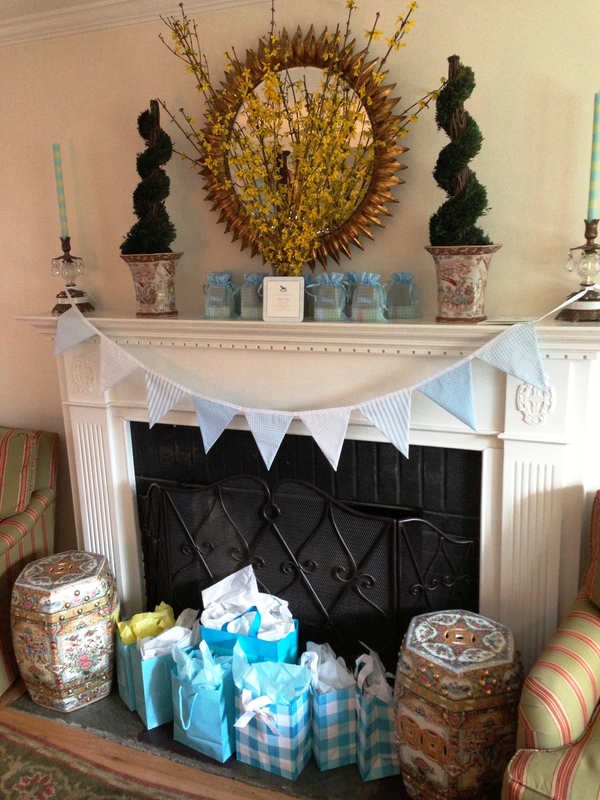 I recently had the privilege of hosting a small baby shower for my dear friend, Nicole, who has a baby boy on the way. 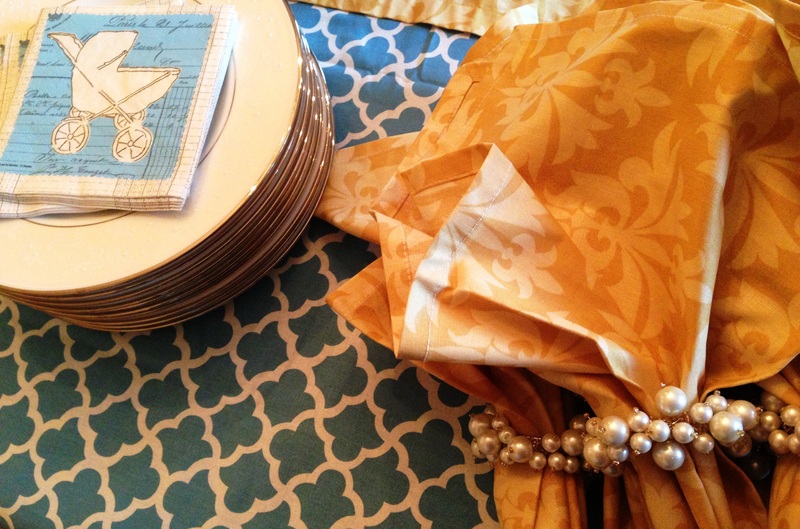 I turned to my favorite linen source, Hen House Linens , and paired their “latticework ocean” tablecloth with their “grand fleur gold” table runner and dinner napkins. 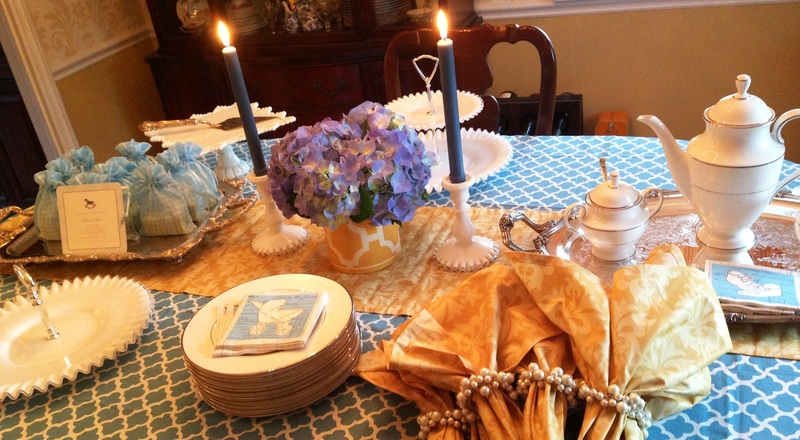 For the centerpiece, I started with this pretty vase hand-painted with a gold trellis pattern which I found at F. Gerald New in Harding, NJ and filled it with blue hydrangeas. 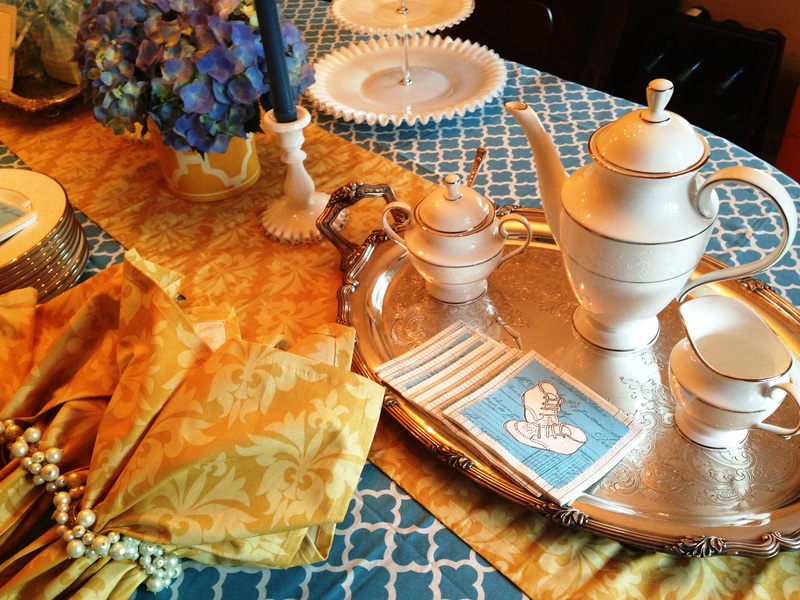 The milk glass candlesticks and serving trays are vintage 1950s Fenton Silver Crest (Summit Antiques, Summit, NJ). 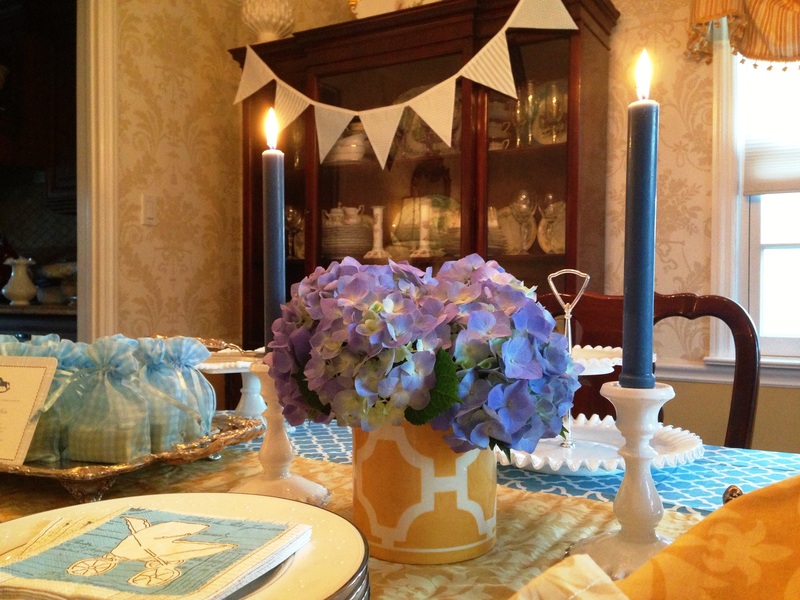 I found this pastel blue banner on Etsy which can be found @ nestables.etsy.com. 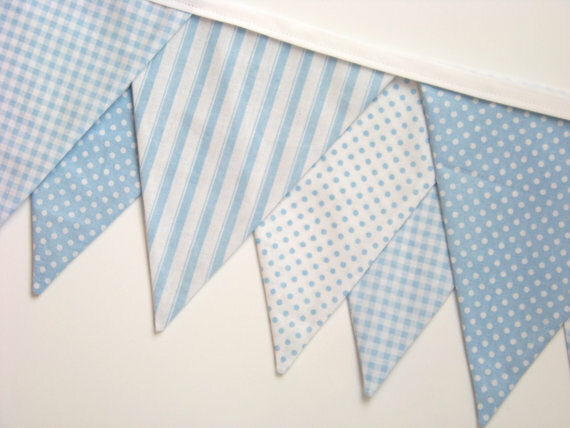 Each double-sided flag was done in alternating ticking stripe, polka dots, and gingham. 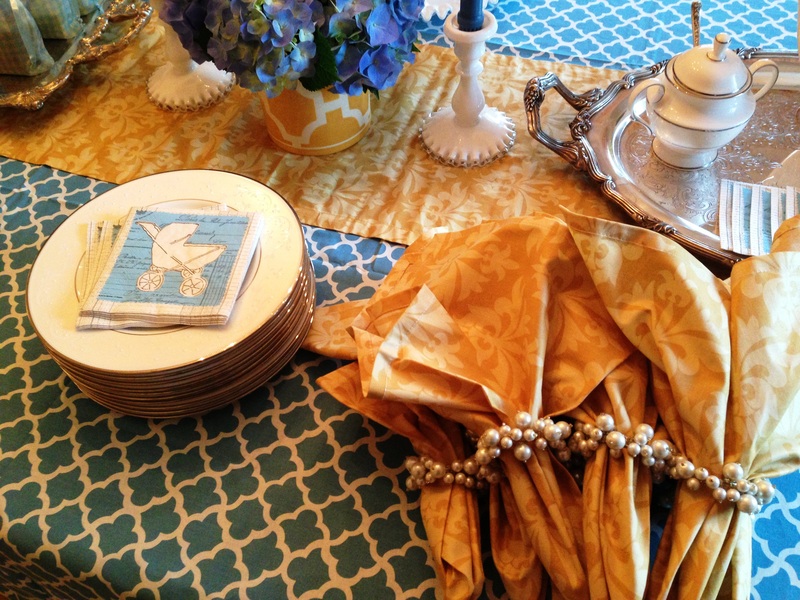 These faux pearl napkin rings are from Once Upon a Table in Chester, NJ. 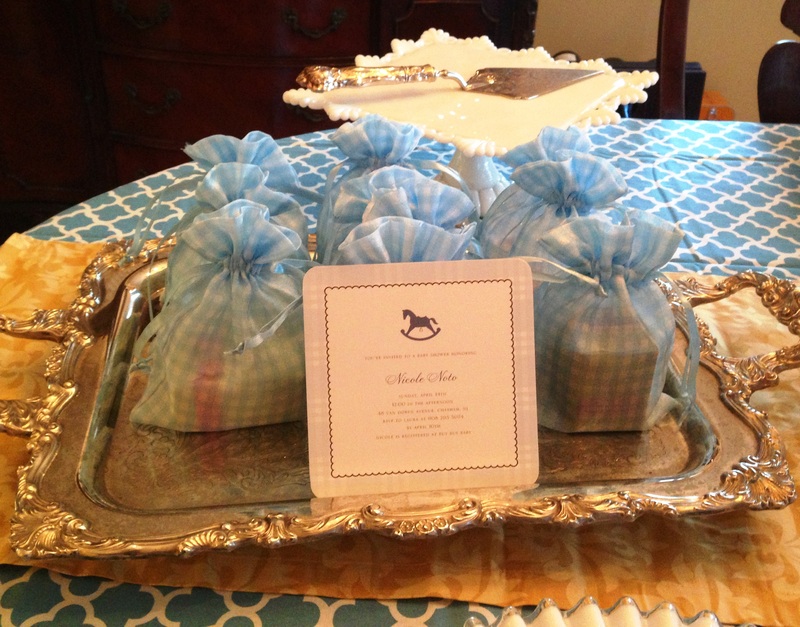 I found these 5″ x 6.5″ blue gingham organza favor bags from Belilissimo Favors. 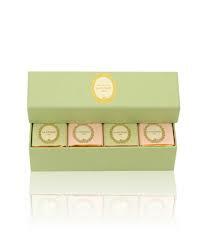 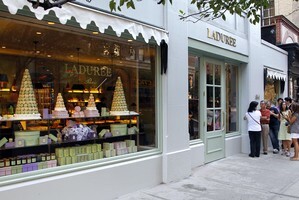 The favor bags were filled with scented votives and a box of gourmet chocolates from Laduree NYC. 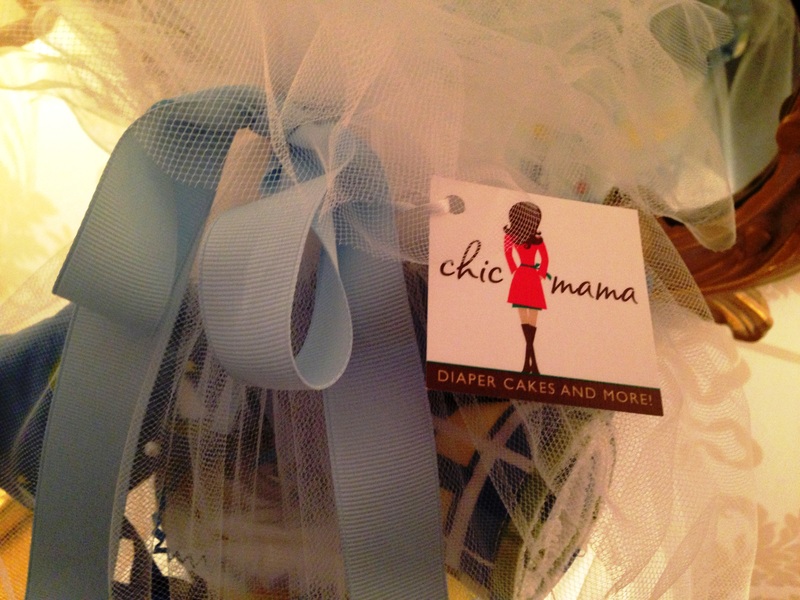 I found a terrific source for diaper cakes at an online store called Chic Mama. 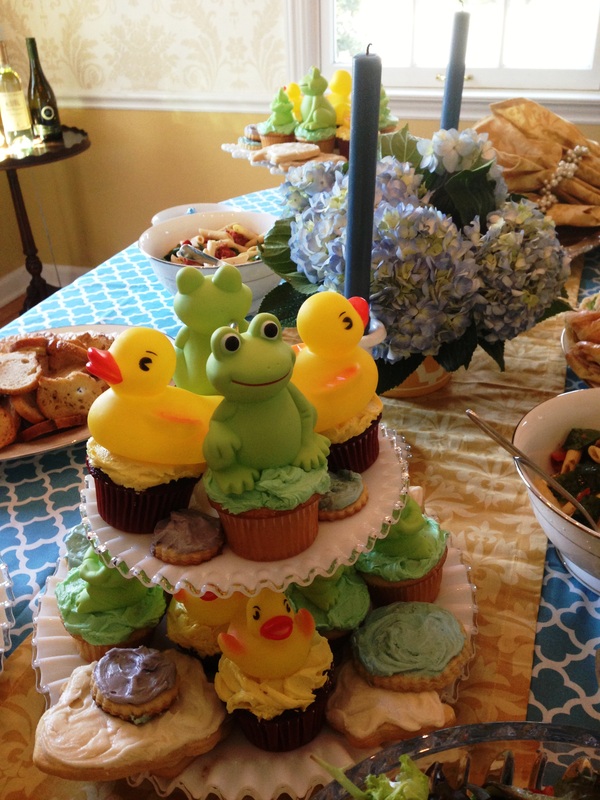 My friend, Megan, did a great job decorating these homemade cupcakes with rubber duckies and frogs. 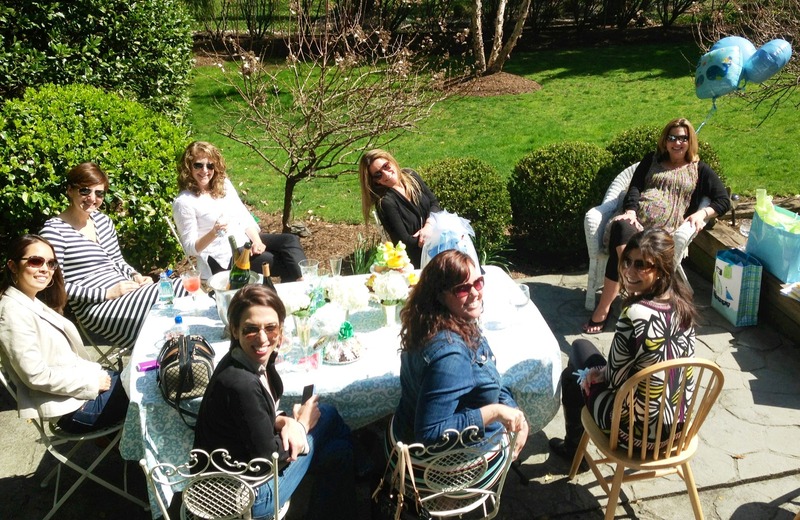 Fabulous baby shower! 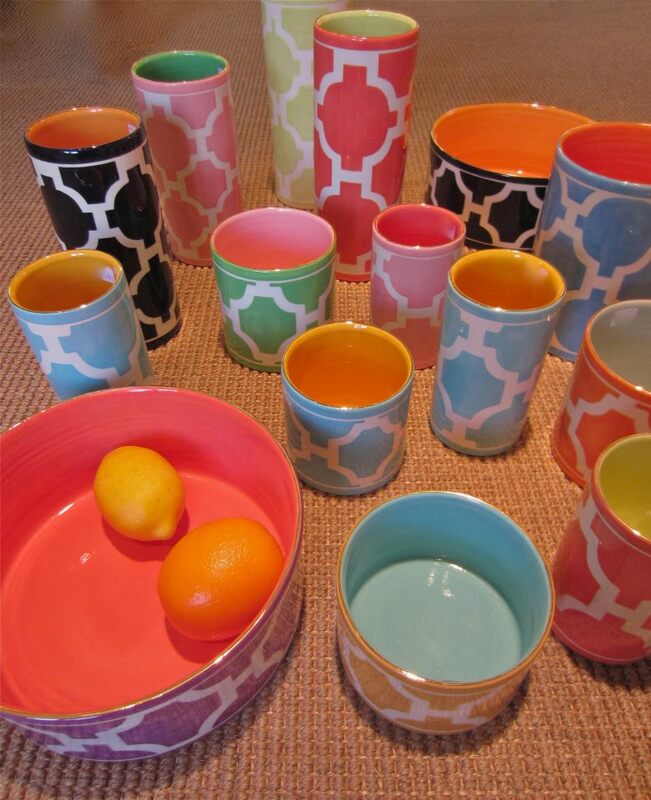 You coordinated the lovely colors of the linens with the pretty cneterpiece. 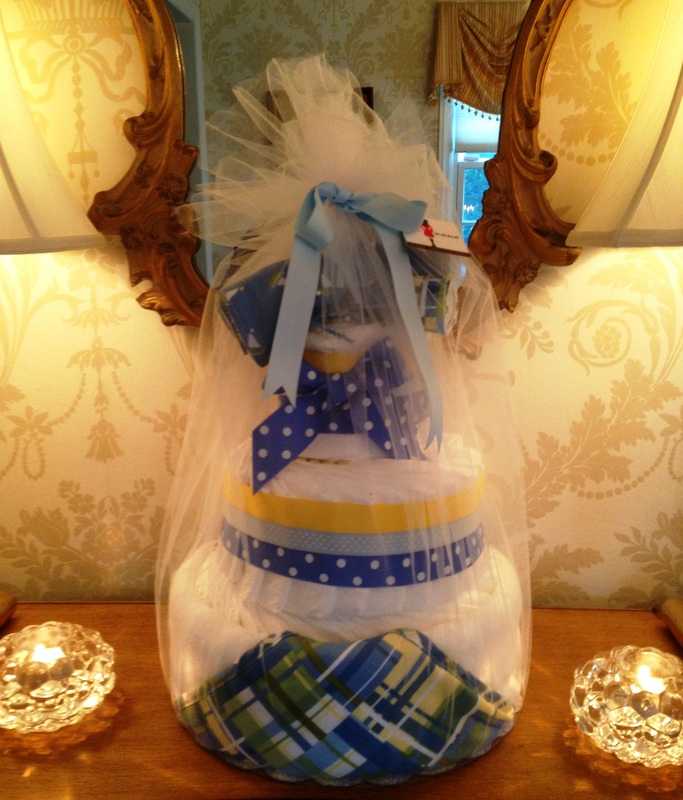 Your great diaper cake is perfect. 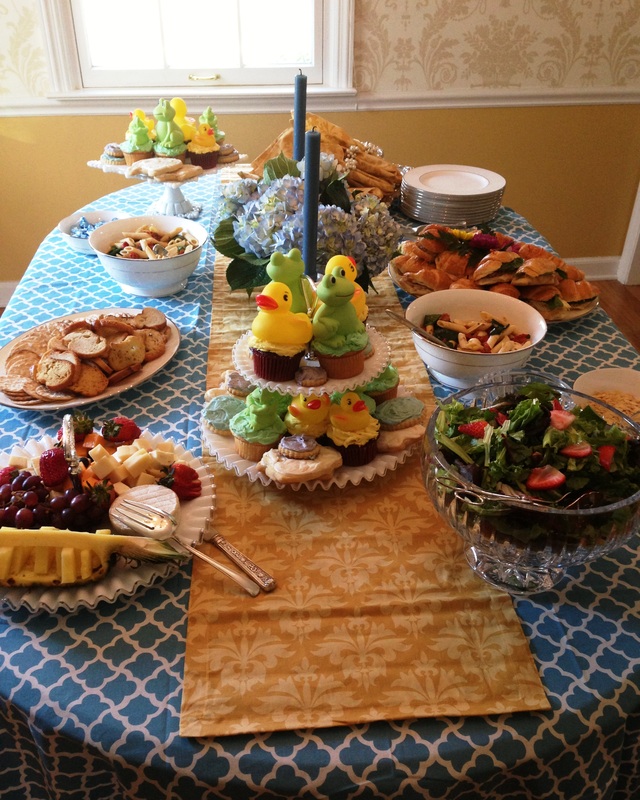 My favorite is the cupcakes with the ducks and frogs for it is so appropriate for the shower.